Susie Q is the owner of the lighthearted and funny blog Out of the Ordinary. She bravely agreed to swap blogs with me for one day, as we explore each other’s lives. We couldn’t be more different: Single, no children and employed vs married, a baby and a stay at home mom,Â Susie and I take a look at family life and single life from opposite sides of the aisle.Â After reading Susie’s thoughts here, stop by her blog to read mine and for a good laugh, take a look at some of her other posts too! I am a single female in my 20’s. I refuse to say that I’m in my mid-twenties because it hurts just a little bit. A little while ago I was 19, with the world at my feet, coming to university and now I’m almost a quarter of a century, laden with debt and worries of the world. When I got asked to do a guestpost for a family-orientated blog, I freaked out just a little. I know nothing of having a family, apart from those awful (but entertaining) programmes like Nanny 911 and Jo Frost’s random shows here and there. In fact, I don’t really know nothing of even being in a relationship. I’ve had my fair share of boyfriends, and my longest relationship to date was two years. But I still haven’t managed to find The One and hold on to him. So I’m no expert. As many singles (who are single from their own will) tend to be, mostly I’m quite a selfish person. I can’t quite get my small head around the whole â€œunconditional loveâ€-thing. I can’t imagine how anyone could sacrifice Saturday lie-ins for watching CBeebies at silly o’clock in the morning. My money’s used to buy incredibly uncomfortable but cute shoes and when I wake up in the morning, I can look like I’ve been dragged backwards through a bush without having to feel bad because I should look good for the hubby. But I’m at the age where most girls my age have already settled down and are churning out babies. My facebook news feed is full of new pictures that my friends have uploaded of their bundles of joy. And I admire this superhuman power that so many women possess. These Wives and Mothers could do anything. They really are truly the ones that rule the world. You know that saying, â€œbehind every successful man there’s a woman who tells him what to doâ€. Or something to that extent. (And yes, I’m snuffing men in this post completely, because you guys will never know the agony of childbirth. Or 5-inch heels.) When a Wife or a Mother gets a cold, she sniffles discreetly and goes on with her day as normal. When a man gets a cold, he lays in the bottom of his bed, crying and whimpering while the Wife or Mother faffs around him. A Wife and Mother can take care of a week’s worth of dirty laundry in a day, all the while there’s a snotty 5-year old tugging at her skirt. A Wife and Mother can shimmy up a 5-star three course meal out of a tin of beans, leftover pasta and some canned peaches in syrup she found at the back of the closet. With a bit more effort, she can magic a napkin into a small origami house with a little family moving about inside. But the biggest achievement of it all? A Wife can love one man for years. My parents have been married for 35 years. Something about loving someone for that length of time that scares me; how is it possible? And Mothersâ€¦ Do I need to even start? I can’t even begin to understand what having a child is like, or what the love feels like. But I have to say.. I can’t wait! So, all you Wives and Mothers, give yourselves a pat on the back today because you are doing an amazing job. Me? I can hardly wash my face in the morning without poking myself in the eye. But eventually, I will learn. And then? I will join this superhero brigade. And we will save the world. One snotty child at a time! Leave a comment for Susie here. I’m sure she’d love to hear from you! You’re so right – I have a friend from uni days who now has 3 boys and I don’t understand how she manages it. 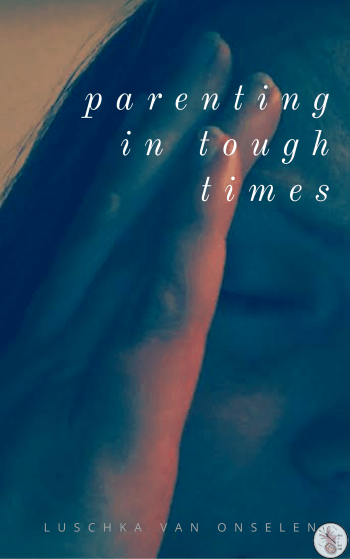 I don’t have enough time for myself as it is – how would I cope with kids too??? .-= PaulaÂ´s last blog ..MY BED IS WHERE THE MAGIC HAPPENS . . . =-. Great pep talk! I’m off to save the world! .-= JoeyÂ´s last blog ..This one’s all about a turd =-. Lovely guest post! Not your usual hilarious snarkiness, but still lovely.